"Luca Brecel knocked in three tons yesterday, offering further indication that he's close to his best again." All the big favourites came through their second round matches on Sunday but their progress was anything but straightforward, as Ronnie O'Sullivan, Judd Trump and Ding Junhui all taken to deciding frames. Don't read too much into O'Sullivan - who is back in action this afternoon against Zhou Yuelong - being taken to the wire. Ken Doherty played extremely well to take his chances and set a high standard, prompting a fine comeback from the champion. That could prove to be the ideal sharpener and I suspect he'll make light work of Yuelong, who he beat 4-1 in their previous tournament. I'm having a small punt on him beating the 4.5 Frame Handicap. In contrast, the world champion could be vulnerable tonight. 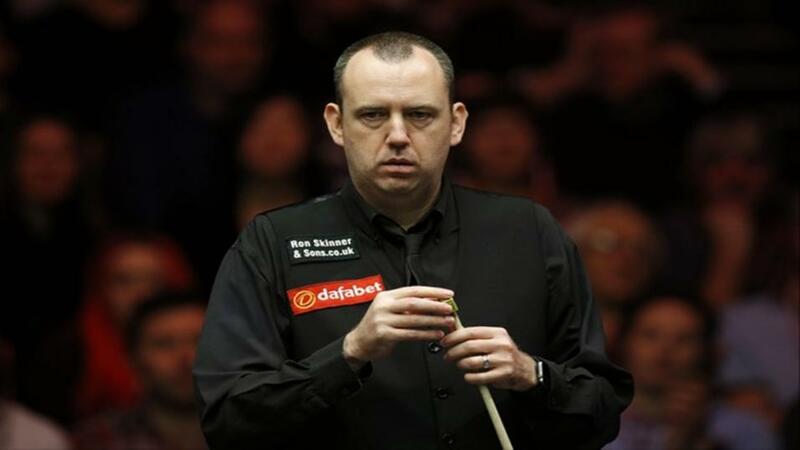 Mark Williams defied my scepticism in the first round with a 6-0 whitewash over Daniel Wells but the frames weren't all that one-sided. Williams is giving opponents chances and, while his experience and matchplay prowess are formidable assets, he makes no appeal at current short odds, based primarily on last season's heroics. Saengkham only lost one frame in the two previous rounds and is one of the most under-rated players further down the rankings. He's already met Williams in the World Open semis - throwing away a 5-3 lead to lose in a decider - and has claimed plenty of high-class scalps. That was his second semi-final appearance and he also reached the English Open quarter-finals. That form reads well and isn't so far off what Williams has achieved this season. I'll be surprised if he gets thrashed here and strongly recommend taking [3.75] for the match. Given what happened in their previous encounter, in keeping with Williams' history of comebacks, cash out if the Thai trades down to [1.4] at any stage. Finally a double on two matches beyond the main tables. Luca Brecel knocked in three tons yesterday, offering further indication that he's close to his best again. If so, he's well up to defying the 2.5 Frame Handicap against Lu Ning - who has suddenly found some results in the last two events after years of struggle. Note, however, that Anthony McGill was his only scalp anywhere near the top-32. The second leg is Over 9.5 Frames in the match between Tian Pengfei and Martin O'Donnell. These two effective mid-rankers are very hard to separate and could well be set for a marathon.